So, just who are the most influential disabled people ? I'm a great fan of "lists". Most project management software is essentially a list, tho a very clever way of presenting and manipulating that list. Lists that seek to highlight achievement and influence are a bit different and often more controversial than the organisational type of list I love. The most visible and oft discussed "list" in the UK is I've heard said, the Times Rich List, mainly because we do enjoy an envious read ! But, here's a list that's quickly become a must read for disabled people and, well, lots of "everyone" ! 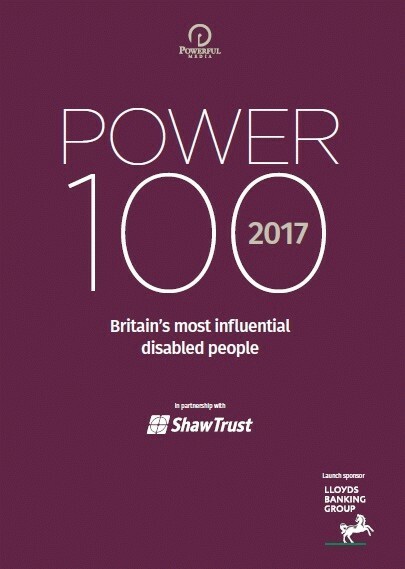 It's the 2017 Power List celebrating, highlighting, discussing, the 100 most influential disabled people in the country. I wasn't sure about it at first, immediately thinking "here's another bit of ego massaging on a grand scale". But actually, it really isn't that kind of list at all and somewhat more serious than a "best bum 2017" list or the dubious "best places to live" type list. No, here we have something that should make everyone, particularly politicians in my view, sit up and take notice. Not take notice of a list of worthy human beings, but be impressed by, and respectful of, a group of people who are serial achievers, tax payers, contributors nationally and at community level. 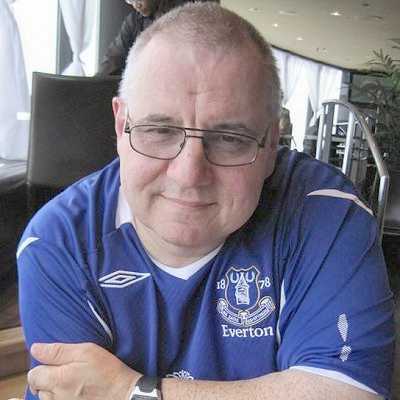 A group of people who stand out from the crowd perhaps, but also work behind the scenes to help others and often by their actions improve lives and shatter misconceptions about disability. And boy do we need to go into 2017 shattering misconceptions at a time when our society has been kidded by a vicious mix of political dogma and some cruelly destructive media outlets intent on shifting the focus from their seriously flawed supporter base to the easy target of disability, benefits, and generally anyone who can be used to detract from the failure of our leaders and the financial sector. So I recommend you take a long serious look at this Power List. It's a fascinating read. It is about success yes. But it is also about hard work, contribution, selfless dedication and those featured simply serve to stress that if you understand what it is to have an enabled inclusive society then you understand why that is so crucial to the health and well being of your community.